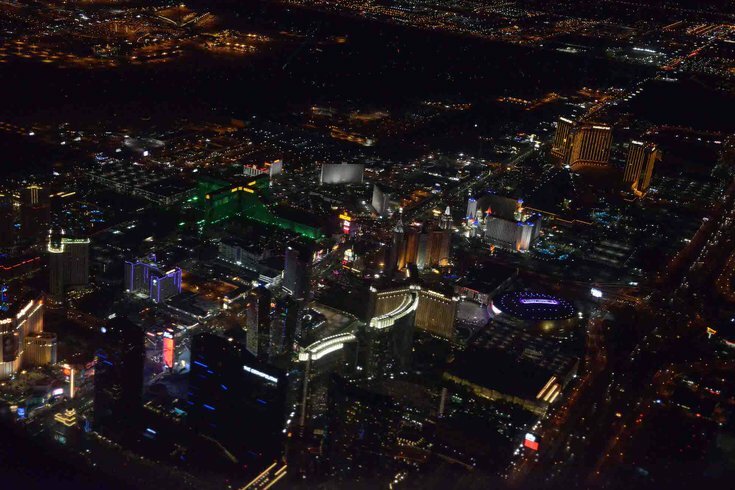 Las Vegas is a hive of activity during major sporting events thanks to legalized gambling. Will Atlantic City soon reap the same lucrative benefits? I absolutely love Atlantic City. That’s mostly an effect of covering the police-and-fire newspaper beats in the late 1990s. What I saw was a seaside resort that wasn’t nearly as bad as outsiders made it out to be. What I experienced was a city with a unique spirit and the ability to continually reinvent itself through the generations. It’s a remarkable place, even when it’s as down on its luck as someone getting change out of their car’s ashtray to pay the parking fee before heading west on the Atlantic City Expressway. And, if you ask me, today’s news that the U.S. Supreme Court paved the way for sports gambling to come to a state where it was previously forbidden (at least legally) may very well spark Atlantic City’s latest reinvention. More than chatter about a legalized-marijuana, adult party zone, sportsbooks can spark a wave of new visitors that would pump countless dollars into the local economy. In the years after college graduation, I was part of a group that would (as) annually (as possible) fly out to Las Vegas for the opening weekend of the NCAA men’s college basketball tournament. We spent money on flights. We spent money on rooms. We spent money on food. We spent money on drinks. We spent money on entertainment. And we spent a ton of money (some of which was even won back!) in the sportsbooks. Simply put, we were the ideal tourists. And the primary reason for the trip was to sit in a sportsbook and wager on game after game after game. Granted, it’s a bit of a different dynamic flying across country to a desert as it is to driving an hour or so to an oceanside casino resort. But the result will be the same: People will flock to the Atlantic City sportsbooks for the hoops tournament, the NBA playoffs, the World Series and the World Cup. Not only will they go for the Super Bowl – a major money-maker for sportsbooks – but they will be there on NFL Sundays, much to the dismay of local bookies. The trickle-out effect will be just what Atlantic City needs. More money will be spent at the city’s restaurants, bars and boardwalk shops, which is good for business owners and workers in, and outside of, the casino properties. Heck, more of those aforementioned establishments might even open up on deserted blocks. It will bring a new energy to a city long teetering on the brink, with casino closure after casino closure, and despite the former governor’s whole “tourism district” initiative. If done right – like, say, at the Bellagio on the Strip – it will help repair the damage wrought by casinos opening in neighboring states. Sure, there’s a lot of ifs involved in this scenario. Maybe those other casinos will continue to siphon off business. But believe you me, heading to a casino town on the weekend of a major sporting event is unlike many other excursions. Don’t buy it? Well, Vegas expected more than 300,000 people to come to town to watch the Philadelphia Eagles win the Super Bowl in February. You don’t think A.C. would’ve been wild as all heck that weekend? How about Final Four weekend, with Villanova vanquishing all comers? Yeah, it’d be a lot of fun to watch that game on a wall-sized TV, a ticket in hand with various prop bets. Heck, the Borgata’s already talking about building a $7 million sportsbook. Pretty exciting stuff. Of course, some may say that many people will just place those bets via mobile phone. That's a justifiable take. But the fact remains that the excitement of being in the sports book when, say, a last second garbage-time three pointer makes a game go over is beyond compare. The hooting, hollering and screaming is flat-out exciting. That’s why today’s news from the Supreme Court is exactly the type of jolt for which Atlantic City’s been waiting for years. The sooner they open those doors, the better.